This massive building is known to BYU students as the building where the most prayers are said on campus. This is because it is now known as the Testing Center, where students take tests from most of their cases. However, it was originally a library, later repurposed as a museum, and only recently became the dreaded testing center. Who was Heber J. Grant? Heber J. Grant was born in Salt Lake City in 1856, before Utah was made a state. He was well connected to the leadership of the LDS church, and eventually became the President of the LDS Church. He was well known for his extreme dedication to matters that were important to him. The story is told of his youth, when he wanted to join the baseball team but was not good enough to play. He bought a baseball and threw it against a barn wall for hours until he became good enough to join the team which eventually won a territorial championship. He was placed in Church leadership at a very early age, serving in the leadership of the Mutual Improvement Association, a mission to Native Americans, the Sunday School board, president of a stake, a member of the quorum of the Twelve, and in November of 1918, President of the Church. As President of the LDS Church, he was on the BYU Board of Trustees and helped to manage the school. Heber J. Grant was also an avid lover of book and had donated hundreds of volumes to the school. When asked about the expense of donating so many books, he responded that it was “just [his] cigar money.” As President of the Church, he helped to push the Word of Wisdom, the LDS belief in avoiding harmful foods and substances, like cigars and alcohol. He is also well known for starting the church welfare program. He supported the prohibition movement and was devastated when that state of Utah ratified the 21st amendment which repealed prohibition. He died in 1945 in Salt Lake City after struggling with cancer for a few years. By 1921, it was evident to the school administration that they needed to build a library for the school. Rooms in the old High School building were still being used by the university as a temporary library and many other books were stashed wherever they would fit across the few buildings used by the school. A survey completed by the school found that there were already more than 17,000 books and over 25,000 pamphlets to be placed in a library, with more accumulating every year. To compound the problem of limited space, the haphazard placement of books was deemed a fire hazard and a threat to the safety of the school. Thus, a library became a priority. It took three years to draw up plans and organize the necessary contractors to begin work on the new library. 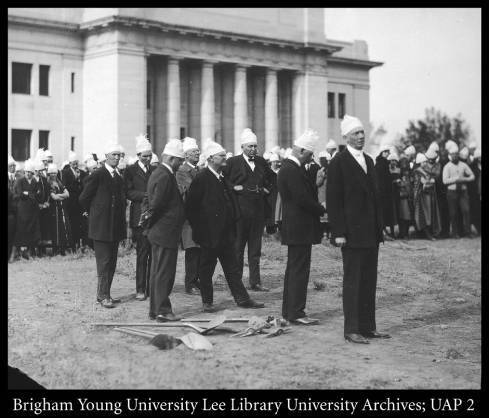 On October 16, 1924, the ground-breaking ceremony was held and students, faculty and families formed a circle around the area whereupon the library was to be built. The building has two very tall stories, designed to maximize wall space to house as many books as possible. A few offices were created on the second floor, as well as rooms for special collections of books and spacious reading rooms. Cork carpet was placed to help preserve the quiet atmosphere and eliminate noise from walking or moving chairs. Large chandeliers provided ample lighting for the building. There were seven classrooms to alleviate the need for more rooms, and the largest classroom featured a small stage. There was no front entrance on the north side of the building, as the original architects believed that the north section would later be extended and the door would be replaced anyway. The building cost $125,000 to construct, with an additional $40,000 spent to fill it with more books and equipment. The LDS Church had bought the school in 1896 and paid for the construction of the Grant building. After completion, wagon teams loaded the books from various buildings across the town to bring the books to the new library. This began the difficult process of populating the library. 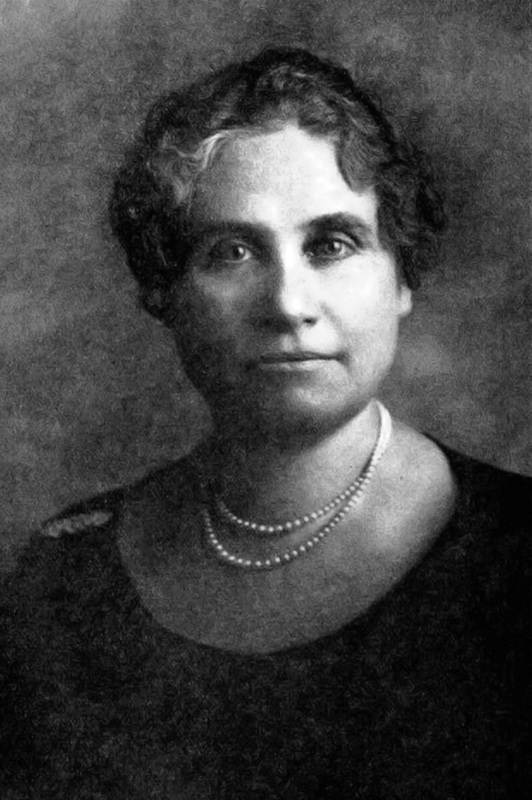 Alice Louise Reynolds helped to complete the library and promoted its widespread use. She was an avid reader and had worked hard to encourage the school administrators to build a library. There was a movement to name the library after her in recognition of her massive efforts for the library and as an educator, though school officials decided to honor the President of the LDS Church, Heber J. Grant, who had donated many books to the library and helped plan for the library. 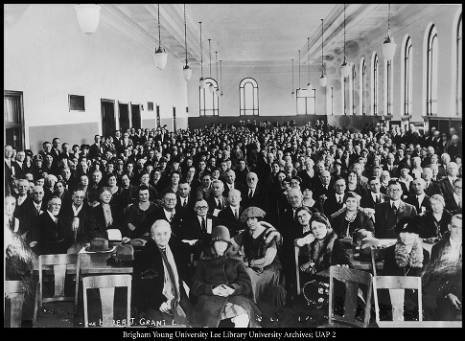 Over time and as BYU continued to grow, the planned expansion of the library never came to fruition. However, reminiscent to the initial need for the library, soon the Grant building was overcrowded with books, with volumes staked on floors and stashed where ever they could fit. It was evident that after 40 years, there would need to be a new and larger library made, as increasing numbers of students would continue to increase the need for more books. 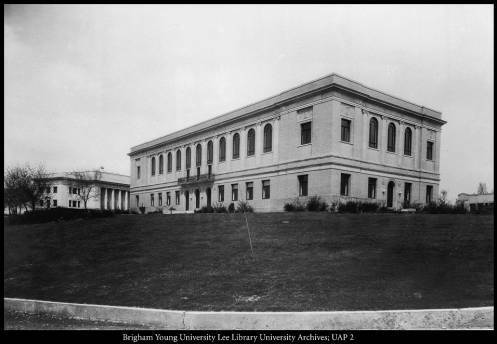 In 1961, the J. Reuben Clark library was finished and the books were moved to this building. After a few years and many confused students, the library was renamed the Harold B. Lee library. This new building is considered to be one of the best university libraries in the world. Now empty, the Grant building was soon turned over to various departments for the next few years. The College of Biology and Agriculture turned the building into a museum of taxidermized animals and live animal shows, known as the Life Sciences Museum. It was moved in 1978 to the Monte L. Bean Life Science Museum after its completion. It remained as offices until 1982 when university administrators decided to make it a testing center, to help alleviate testing concerns of the teachers. This would reduce the class time spent on taking tests and offer more convenience to the students as they are able to take tests when they want and to take as long as they need to for each test. It also now houses the Religious Studies Center and a few classrooms. 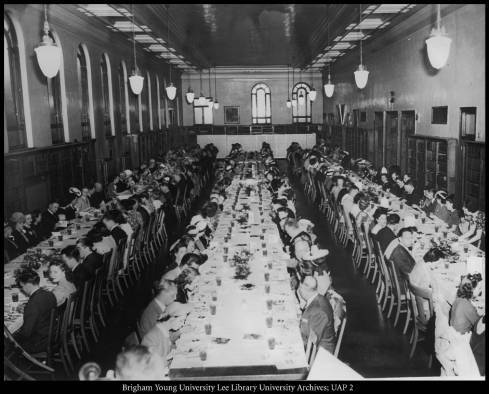 Josh Franzen, Brigham Young University, “Heber J. 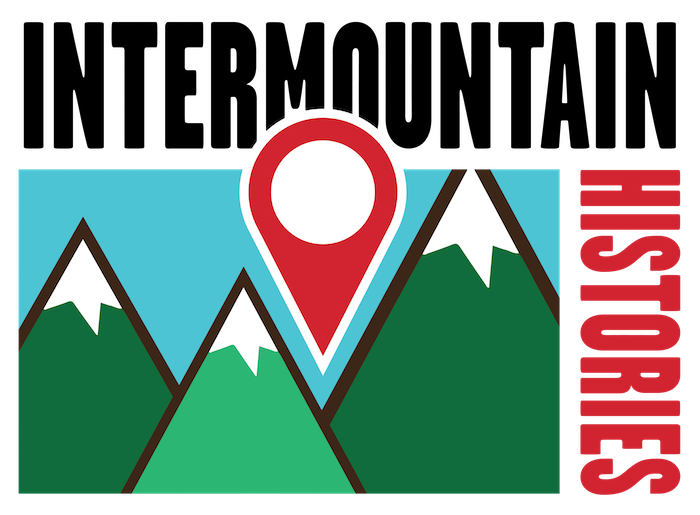 Grant Building,” Intermountain Histories, accessed April 19, 2019, https://www.intermountainhistories.org/items/show/137. The Church of Jesus Christ of Latter Day Saints. Teachings of Presidents of the Church: Heber J. Grant. The Church of Jesus Christ of Latter Day Saints. 2002.